Today I am happy to start our new series, Quilting 101. This series is geared towards those who are completely new to quilting or those who'd like to brush up on their basics. We will be covering a wide range of subjects from fabric selection, to cutting, to basic quilt blocks. 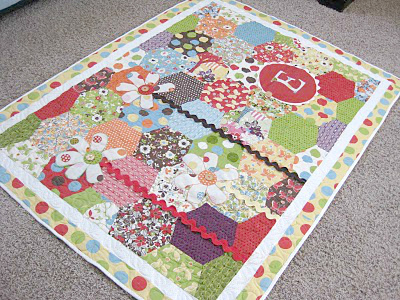 Then I'll show you how to put it all together to make a beautiful quilt. I remember the first time I went to the fabric store to pick out some material for a quilt. I was about 11 years old and had decided that I wanted to make a new quilt for my bed. I picked out about five different fabrics in sage green, white, and mauve (remember, this was the 90's and those colors were super cool). I had absolutely no method in selecting the material, I just picked out what I liked and what I thought looked good together. Needless to say, that fabric was never made into a quilt, and sat in my closet for years...in fact I think it is still in my stash in my sewing room. Pre-cuts and Fabric Lines: I remember the first time I bought pre-cut fabric. I was in college and it was a Moda charm pack. I was instantly hooked on the fact that the pre-cut saved me time and all of the fabric coordinated. Several textile companies now put their fabrics out in lines. Most of the fabrics from a line coordinate and can easily be mixed together with solids to form a beautiful quilt. 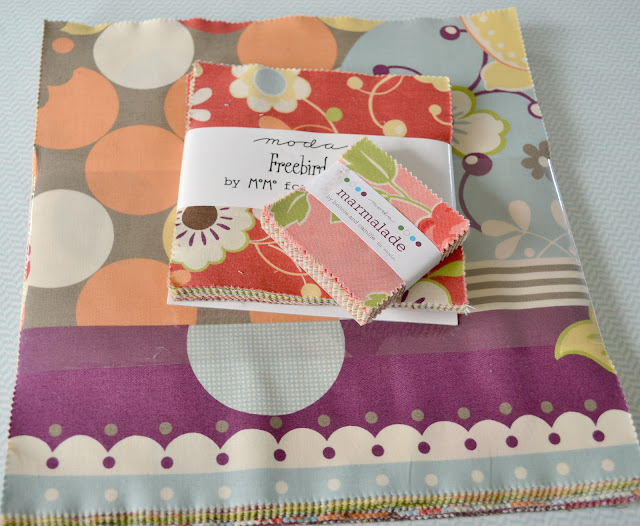 I highly recommend using a fabric line to first time quilters or those who feel that they can't mix and match fabric well. Buying all of your fabric from the same line saves you time in trying to find coordinating fabric and almost always yields a beautiful quilt. Here is an example of a quilt that was made completely from one line of fabric. I made this quilt for my husband's little sister when she was married a few years ago. It is made completely from Moda's Freebird by MoMo (except for the solid white border). You can also mix and match lines that are similar. 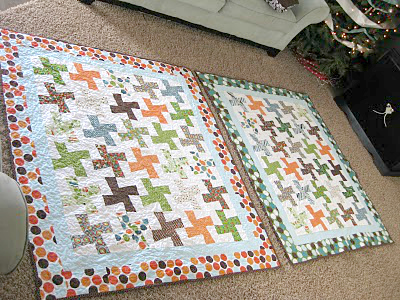 I made these quilts, as Christmas presents, for my middle boys when they were 2 and 1 years old (they are now 4 and 3). If you are familiar with the color wheel and color schemes, this is a great way to pick out your fabrics. I think most of us naturally realize that some colors look good together such as purple/yellow and blue/orange. Have you ever wondered why? If you look on the color wheel, they are directly opposite from each other. This is called a Complementary Color Scheme. 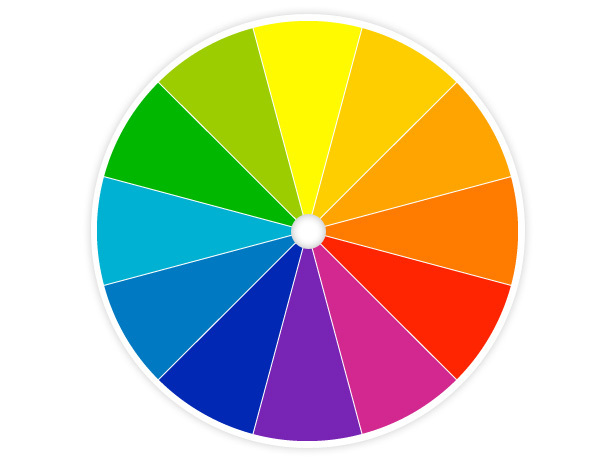 Essentially, if you want a complementary color scheme, all you have to do is pick two colors that are opposite of each other on the wheel, that is it! Monochromatic: This is when you use only one color and pair it with a neutral such as white, black, or gray. Analogous: This is when you use colors that are next to each other on the wheel. For example, you would use pink, purple, and blue together or orange, red, pink. You get the idea. Split Complementary: This is a variation of the complementary color scheme. You pick a color, then use the two colors adjacent to it's complementary. For example, if I picked purple as my main color, then I would look at its complementary, yellow. I wouldn't use yellow, but the colors on either side of it, in this case yellow-green and yellow-orange. Triadic: This is when you pick out three colors that are evenly spaced on the color wheel. This color scheme offers nice contrast, but still maintains the harmony of colors. Using your Instinct: I think this is the way that most people pick out their fabric. Most people go into a store and pick out "what looks good" to them. For the most part, this works out well, as many of us can "eyeball" a good color scheme. This is the method I used when I picked out fabric for my first quilt all those years ago. This method offers lots of personal freedom and allows you to experiment to see what fabric combinations you like the best. 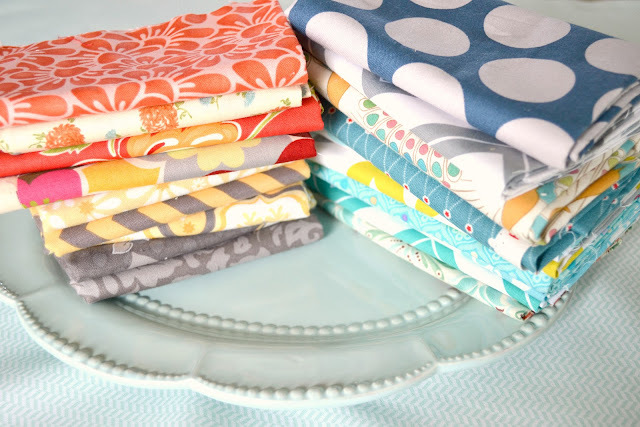 You aren't stuck using only one fabric line or color scheme. I've seen absolutely beautiful quilts made this way and some quilts that weren't so appealing to me (but remember, beauty is in the eye of the beholder, and if you think it looks great, that's all that matters!) I think we've all seen, or perhaps even made, a project with fabrics that didn't quite go together. This is one of the downfalls of using this method. What you may think looks great together in the store. may not look so good once its actually sewn together. I think this is why I've had some people tell me, "I just can't pick out fabric" or "I never pick out things that look good". This is why I suggest using fabric lines or color schemes to start out with. 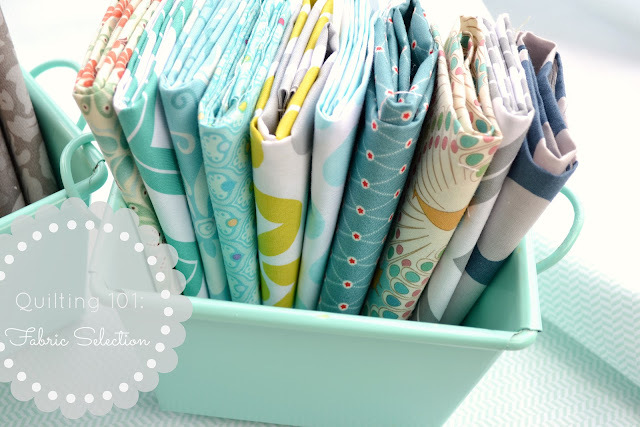 One thing you can do using this method is to build your stash....most quilters have what we call our "stash". These are fabrics that we've bought just because we love them. They don't have to follow any color scheme, they are just fabrics that you buy because you can't live without them. Eventually, when the stash is large enough, it is used in quilts and usually you'll find that you like to buy in the same color scheme. A tiny sample of my stash. I build my stash with fat quarters, pre-cuts, and solids. Most people like to build their stash by buying fabrics in half yards or fat quarters. It becomes a great resource for you when you want to make something and don't want to run to the store for fabric. One last word about fabric quality. I am a staunch believer that you get what you pay for. I highly recommend that if you are going to invest the time and energy into making a quilt, that you should do it with quality fabric. My favorite fabric brands are Moda, Michael Miller, Riley Blake, and Kona. I almost always buy my fabric from specialty quilt stores and avoid places like Walmart, Hancock, and JoAnn's. I did an internship at Hancock fabrics and they do carry some quality brands (like Kona) but some of the fabric is lower quality. The same thing goes for JoAnn's. One of my quilter friends had recently posted a picture on Instagram of a quilt she'd made with Moda and JoAnn fabric. After quilting and binding it she washed it so it would crinkle. When she pulled it out, she was horrified to find that the JoAnn fabric had bled and ruined the quilt. Now I understand that you can get bleeding with almost any fabric, (and I always suggest that the first time you wash a quilt you do it with a color catcher sheet), but I've never had that problem when I've used a quality quilting fabric. I've also made quilts before with lower quality fabric only to watch them start to pull apart in a few years (or months!). Whew! That was a lot, but I feel like if you start out with fabric you love, then you will end up with a quilt you love. I'll be back in a few days to go over the basics of cutting.